Thank You for choosing Florida Mobile Home Title Service. 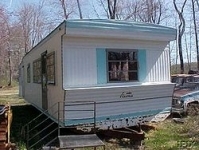 It is crucial that you know the condition of the mobile home title prior to closing. Why? For the same exact reason that you do a land title search - you're going to insure it! Remember, you are actually dealing with two different kinds of titles (land & home), and they’re separate! We are constantly asked how a lien can show up against a mobile home that didn’t show up in the land title search. The answer is - the mobile home title and the land title are separate! Title companies often tell us they're sure the mobile home title is in the seller’s name because the land title shows up in the seller’s name. Don’t assume that. Half the time it's not. Believe it, or not, it might not even be the right mobile home. For more important info go to our Quote link. 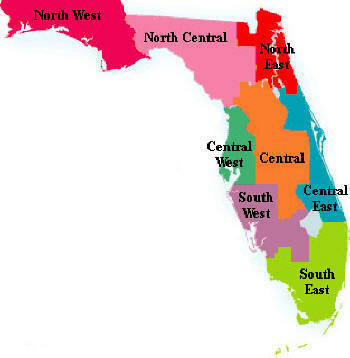 With Florida Mobile Home Title Service on your team, you’ll never have to deal with the mobile home madness again. Forget about messing around with the DMV. Forget about making endless follow-up phone calls to lien-holders pleading to get titles or lien satisfactions (Do they even have a clue what you’re asking for?). Forget about chasing missing documents from buyers or sellers. Forget about all your mobile home nightmares, and let us handle everything. Thanks for using and viewing our newly updated website for 2019. When You invest, always make sure you call FMHTS to insure your title. Do not take any chances. We are finishing the year with great stats and success. Let us know your success story please by posting something on our site. From the desk of the President. Thank You so much to all of our clients. Thank You to all of our employees. Best of wishes to have a prosperous year. Please be sure to fill in the Quote request information thoroughly. We really appreciate your continued business support. We are continually providing miracles throughout the state of Florida. Florida Mobile Home Title Service gets results. This mobile home was abandoned. We got the title, cleared all the liens and the rest is history. Are you interested in Retiring Your Mobile Home Title? We will handle that. Just click on "Quote" or "Contact Us" for professional results. We are seeing a lot of strange title situations come through our office. Remember, if you are having any type of difficulty we can probably resolve it. Just call or click quote for more information with regards to your specific situation. Thank You for viewing our website. Great information will be posted here soon.